Mirrorless cameras have several advantages over the more familiar DSLRs from Nikon, but they have some downsides too. It's important to consider the camera's specs, but also each photographic system as a whole. Nikon has been a trusted name in photography for over fifty years, but they still have not produced an APS-C mirrorless camera for amateurs or professionals. 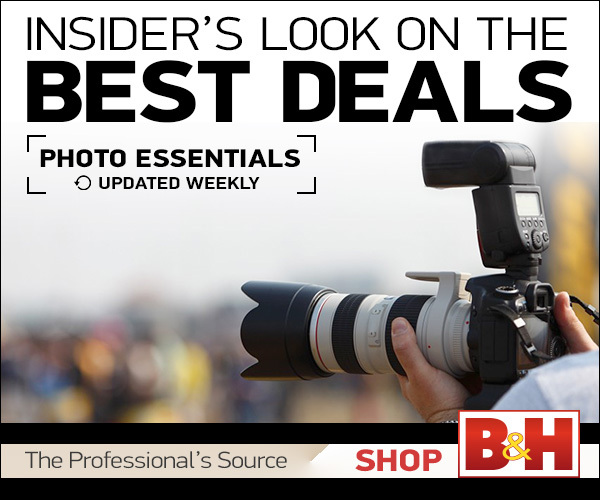 Sony, on the other hand, is relatively new to the photographic market, and their focus on innovation has made them a leader in recent years with their a6000 series mirrorless cameras. 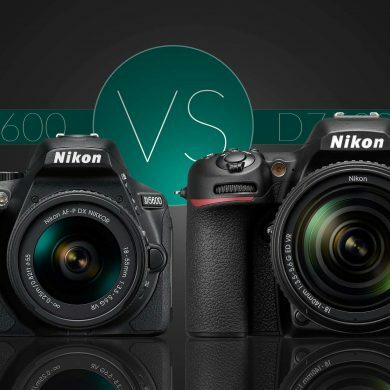 But should you get one, or stick with the tried and true Nikon? 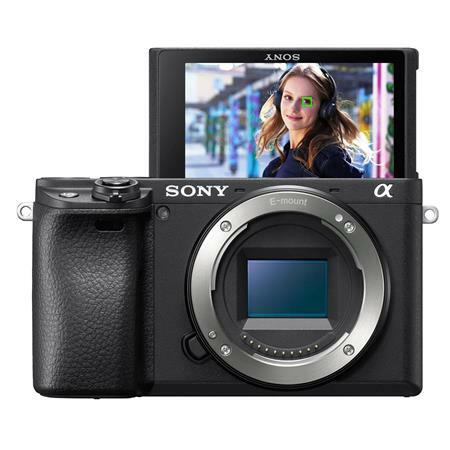 The a6400 is Sony’s most recent model, with excellent speed, great video capabilities, and a spectacular autofocus system. Its body costs $898. 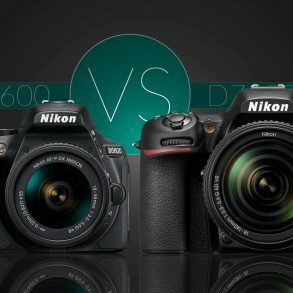 Nikon’s D5600 is now just over a year old, but the most recent in the series, with an excellent sensor and simple controls, and costs less than $600. Matthew Gore | Light And Matter The Nikon D5600 and Sony a6400, front view. Relative sizes are approximate. Let’s begin by taking a look at some of the major differences between the two. In the table below, entries marked in green are better (with the understanding that “better” is sometimes subjective. I’ve also included specs for the more expensive Nikon D7500. +bulb 1/4000th - 30 sec. Flash Sync Speed 1/160th sec. 1/200th sec. 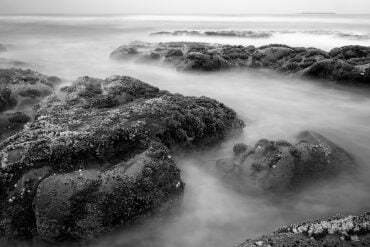 1/250th sec. LCD Size 3" 921,600 pixel 16:9 3.2"
Most of the big things are pretty obvious: for sports and action, the Sony shoots more than twice as many frames per second as the Nikon, and can shoot RAW bursts of 46 frames compared to the Nikon’s 6. That’s a pretty dramatic difference. 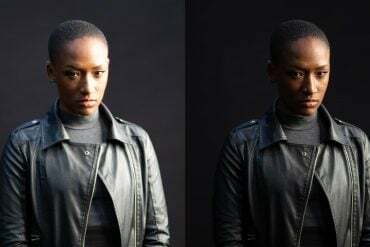 The Sony also has hundreds of more autofocus points to work with, and because it is mirrorless, it can detect human and animal faces (and eyes) so that you’re more likely to get focus where you want it. If you shoot video, then the Sony can shoot 4K resolution with full autofocus speed and tracking, while the Nikon can only shoot 1080p with slow, contrast-detection autofocus. Of course, since the Nikon D5600 is a DSLR and the Sony is mirrorless, their bodies are different: the Sony has no prism box on top to feed the optical viewfinder. Instead, it has an electronic viewfinder (EVF). 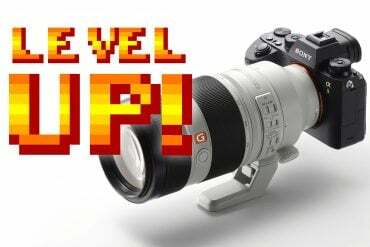 While many photographers don’t like the idea of an EVF, the Sony’s does provide a larger, brighter viewfinder image than the Nikon, along with full-sensor coverage. 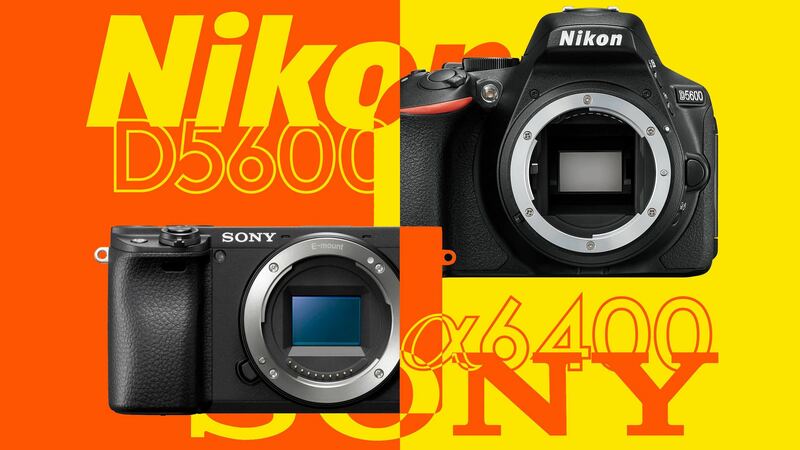 Judging by the specs, the Sony a6400 has a dramatic advantage over the D5600, and even matches or bests the D7500 in many regards. 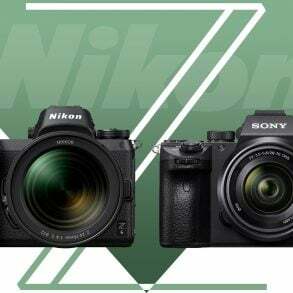 Both cameras have a 24 megapixel sensor, and although Sony claims that their highest native ISO is 32000 for marketing purposes, there is no appreciable difference between it and the 25600 of the Nikon. They both have excellent dynamic range. The Nikon’s sensor does not have an optical low pass filter (OLP), which gives it the potential to be sharper (while introducing the potential for moire artifacts). However, in our tests, we do not see any sharpness advantage with the D5600 (looking at fine details, shot from a tripod at f/5.6). Because the density of the receptors on the sensor is so high on this smaller APS-C sensor (it would result in more than 50 megapixels on a full-frame sensor), only the highest resolution lenses would be able to come close to providing enough resolution to distinguish the two. Ultimately, the removal of the OLP from the Nikon sensors saves Nikon money in sensor production but does not provide a clear performance advantage at this resolution. For casual (or even serious) use, both cameras have excellent autofocus systems. 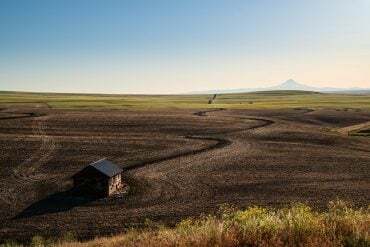 The Nikon’s AF module provides great tracking and focus speed for everything from sports and wildlife to portraits and landscapes. Matthew Gore | Light And Matter 425 phase-detection autofocus points cover the vast majority of the viewfinder on the Sony a6400, while only the central area of the Nikon is covered. Note that the AF points on the Sony are not normally visible or green. 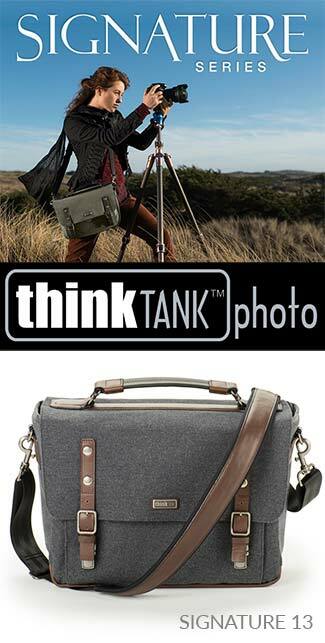 With that said, mirrorless cameras have a couple of major advantages. Rather than just detecting which lines are sharp, a mirrorless camera can read the content of your shot: it will detect faces and identify subjects to track, meaning that you can get sharp focus on your subject’s eyes in every portrait, and you at least have a better chance of tracking a moving athlete on a crowded field. The a6400’s system includes a significant update over earlier versions, allowing it to detect faces on a variety of animals (in addition to humans) and track a subject/face even when it is temporarily hidden. I shot with Canon and Nikon for most of my life (I bought my first Canon in 1991) before switching mostly to Sony, and Sony’s face/eye focusing has been the first change in decades to make a significant improvement in the way I work. When buying a new camera, it’s critically important to consider the camera body as just one part of a system of equipment that also may include lenses, flashes and strobes, triggers, and other accessories. 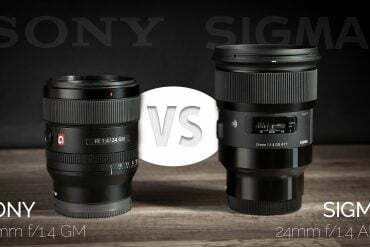 As much as Sony’s mirrorless camera bodies are excellent, their overall lens options are pretty modest compared to Nikon’s, and the truth is, the lens that you use on your camera is probably more important than the camera body itself. 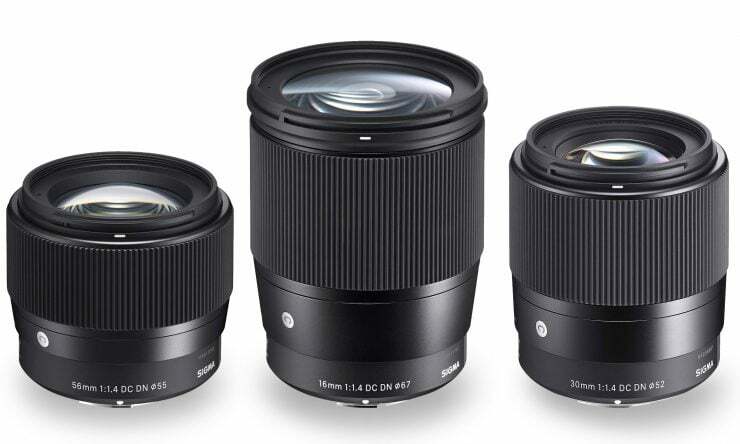 Image Courtesy of Sony A partial collection of Sony’s own E-Mount Lenses. A 400 f/2.8 is now available, along with a 100-400 zoom. Both Sony and Nikon have excellent collections of lenses for their full-frame cameras, but Sony’s APS-C lens line is sorely lacking in professional-quality options: there are no f/2.8 zooms for APS-C, though there are a few nice f/4 models. 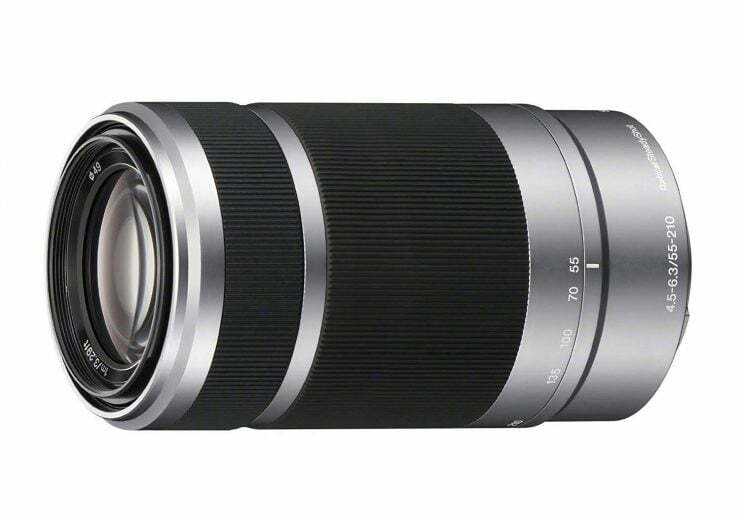 For the Sony to be a professional tool, I’d want a 24-70 f/2.8 equivalent… something like a 16-50 f/2.8, though I’d settle for a 17-55 f/2.8 (which are easily available for Nikon, including options made by Sigma and Tamron). Additionally, Nikon can use lenses like the Tokina 11-16 f/2.8 or even the Sigma 18-35 f/1.8. 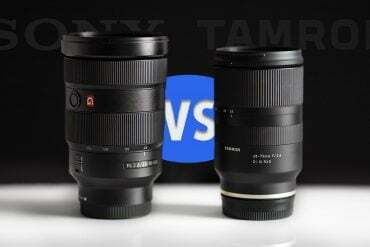 There is simply no equivalent lens available for Sony at this time. On the other hand, Nikon has a large range of APS-C optimized lenses, including primes and wide-angle zooms, and their APS-C bodies are compatible with their full range of super-telephoto lenses if you want to rent one for a safari or special job. Matthew Gore | Light And Matter Sigma’s 56mm, 16mm, and 30mm f/1.4 prime lenses for Sony E-mount are optically excellent. Of course, Sony users can also use full-frame lenses, and probably should for telephotos and portrait-length primes. 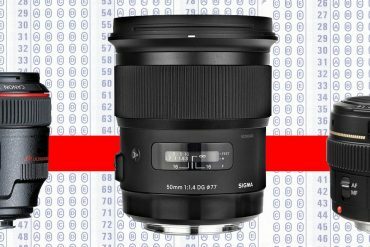 Sigma has started producing E-mount lenses and make a few nice primes for APS-C. Sony’s kit 18-135mm zoom is also a good, solid lens, as are their f/4 zooms. 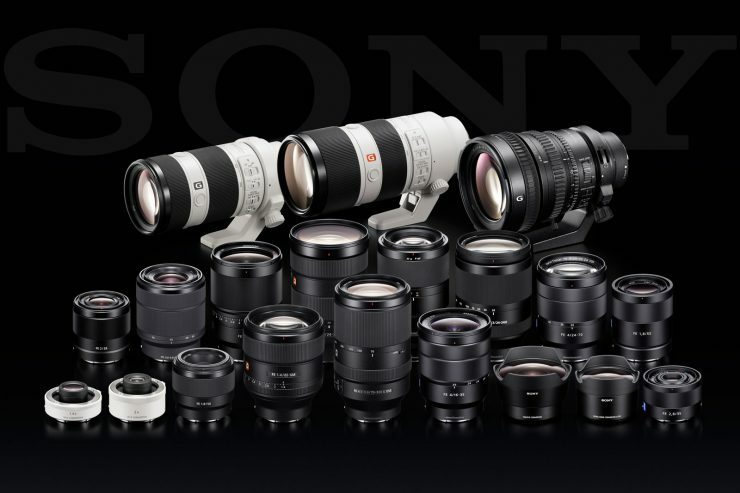 Comparing all of the lenses available is beyond the scope of this article, but if you decide to go with Sony, make sure that the lenses that you want to use are available. I’ve created a complete list of Sony lenses, here, with APS-C lenses highlighted in yellow. Matthew Gore | Light And Matter The small apertures, mediocre optical quality, and toyish build quality of the Sony 55-210 f/4.5-6.3 kit lens do not instill confidence in the serious photographer. To be fair, the same can be said of Nikon’s cheapest lenses, too. 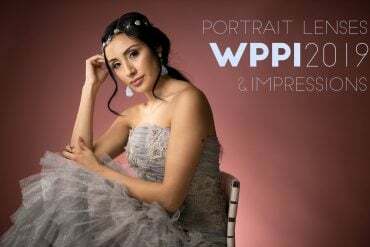 When it comes to flash photography (which is very important for portrait and product photographers), there are a couple of important considerations for each camera system. For the basics, the Nikon has a faster sync-speed for standard flash (1/200th sec. vs 1/160th), but the Nikon D5600 does not offer high-speed sync (the Sony can sync up to 1/4000th with high-speed sync). 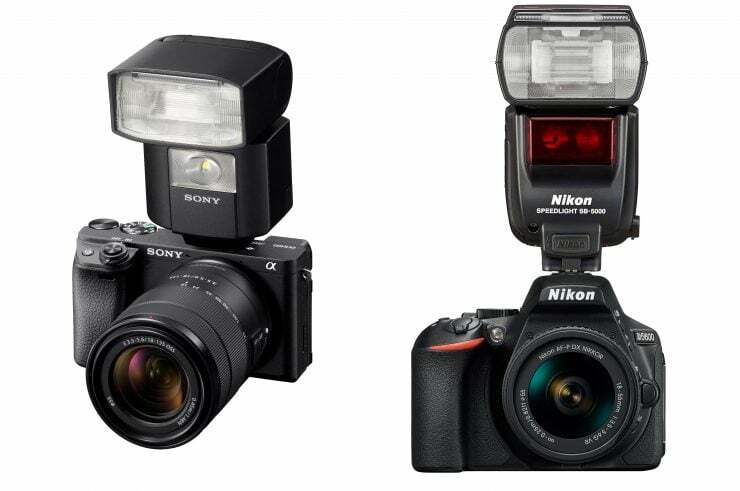 Furthermore, the Nikon can’t use its pop-up flash to control off-camera flash units, while the Sony can, although most people prefer to use radio-controlled external flashes anyway. High speed sync might not seem like a big deal to you if you don’t use flash much, but it is. If you have a large aperture prime lens and are shooting portraits outside and want to use fill-flash or contour flash, your shutter speed will almost certainly surpass the 1/200th second sync speed, forcing you to reduce your aperture, which defeats the purpose of using a large aperture prime to begin with. Never use large primes or flash outdoors? You probably don’t have to worry about it, then. Nikon’s Creative Lighting System (CLS) is probably the most well-respected and sophisticated speedlight system on the market, offering a huge amount of flexibility and customization, though there can be a steep learning curve. Beyond Nikon’s own flashes, just about every 3rd party manufacturer of strobe equipment makes triggers for Nikon cameras, and there are dozens of companies that make speedlights with a Nikon mount. 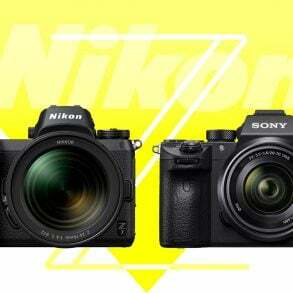 Just a few years ago, Sony’s options were pretty limited, but now they’ve about caught up with Nikon. In addition to Sony’s own line of speedlights with built-in radio control, the hugely popular Godox strobes and monolights are compatible with Sony’s cameras, as are most other major flash/strobe brands. 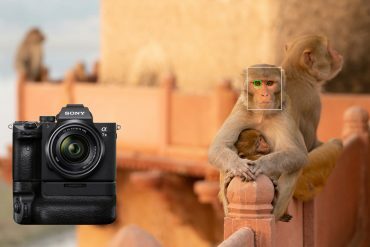 Sony is currently the only camera company that makes mirrorless APS-C sensor cameras and mirrorless full-frame sensor cameras with the same lens mount. If you buy an a6400 now and decide to buy a Sony A7III in the future, all of your lenses will fit it (though only in APS-C mode unless you buy full-frame lenses). 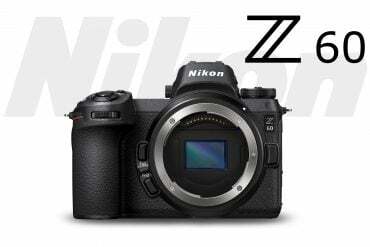 Nikon’s mirrorless full-frame cameras are Z-mount, and they do not make an APS-C mirrorless camera yet (their DSLRs are F-mount). 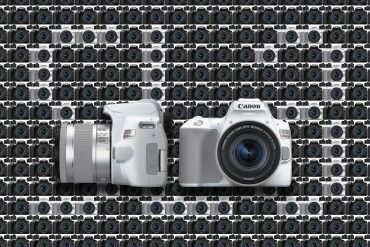 Canon has a mess of mounts: EF for DSLRs, R for mirrorless full-frame, and M for mirrorless APS-C. 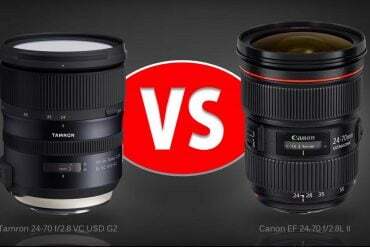 This is important because mirrorless is the way of the future. 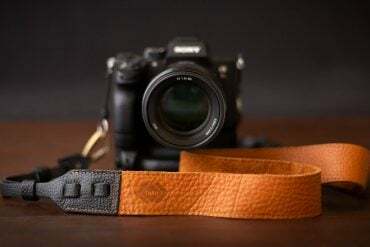 Canon and Nikon have both recently introduced mirrorless full-frame lines (because Sony’s full-frame mirrorless cameras had begun out-selling their DSLRs), and they’re rapidly expanding. 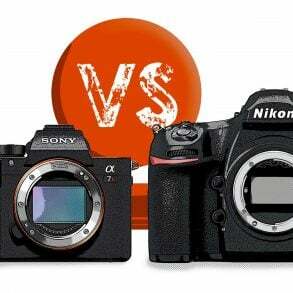 Within a decade, DSLRs will probably disappear like film cameras. But as long as we’re talking about the future, it’s worth mentioning that the Sony E-mount is significantly smaller than the Nikon Z mount, and that puts a (theoretical) limit on what kinds of lenses can be designed for the mount (particularly ultra-large aperture lenses, such as f/1.2 or larger). 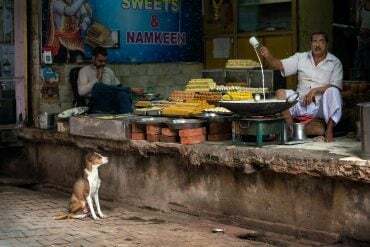 Whether this will matter in the real world is a matter of debate. Still can’t decide? Feel free to ask me any questions that you still have in the comment section below! Think that I forgot to mention something important? It happens. Let me know! And if you found this article helpful, please support my work by purchasing your camera through the links on this website. I promise they won’t charge you any extra!